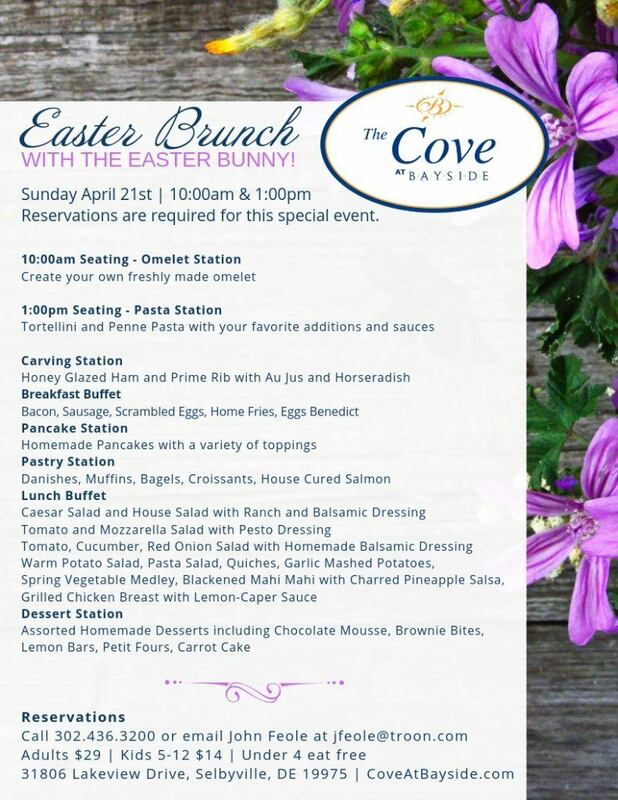 Bayside is now taking reservations for their famous Easter Brunch with special guest, the Easter Bunny! Call 302-436-3200 or email John Feole at [email protected] Reservations are required and this brunch always sells out! Reserve your table for the 10am or 1pm seating.